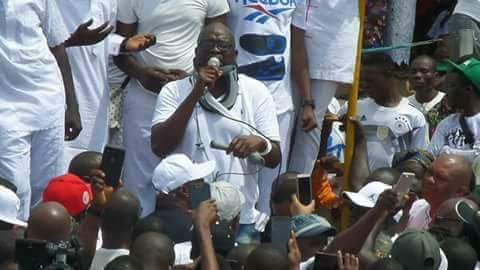 Governor Ayo Fayose has reportedly been injured by some of the security personnel deployed to Ekiti state. 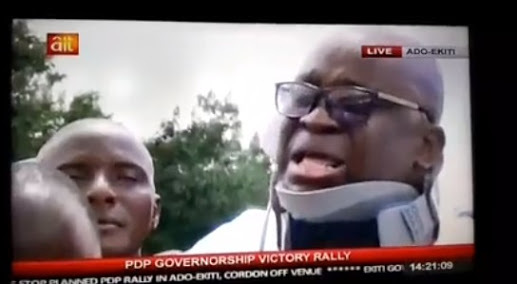 Fayose appeared on TV on Wednesday evening, shedding tears over the alleged assault he received from police officers under the orders of FG. He added that when he told the police officer that assaulted him, that he is a governor, the officer replied; "Governor my foot". 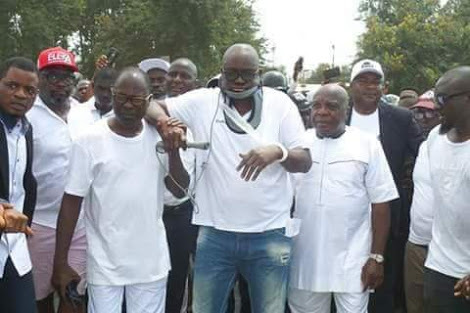 Fayose was seen wearing a neck brace after receiving treatment from a clinic at the government house. 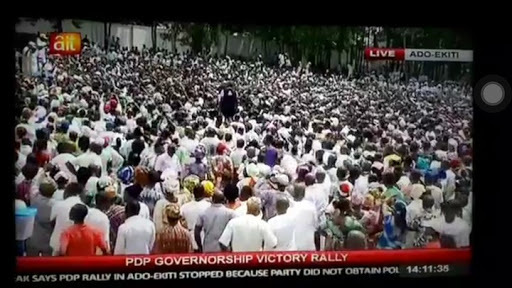 The governor said his deputy was also assaulted by police.